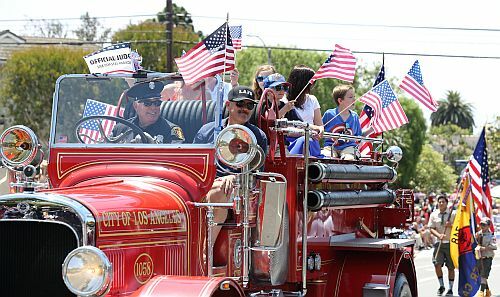 Fourth of July Parade - America, Better Together! Name: Fourth of July Parade - America, Better Together! DONATE TO THE PARADE! Click "Register Now" Above! On Thursday, July 4, 2019 the LAX Coastal Chamber of Commerce will present our community's version of a Norman Rockwell painting: our tribute to America's birthday. Each year, neighbors come together in a sea of red, white and blue to express their pride in country and community. This Independence Day, please join us at this heartwarming community event as we celebrate "American, Better Together!" This year's theme represents the wonderful melting pot of our country, highlighting our communal spirit and how together we are stronger, more diverse, and a more prosperous nation. Support your local parade! Donate by clicking Register Now above! To donate, click Register Now!